Bellies and Babies: Birthday Banner Tutorial! 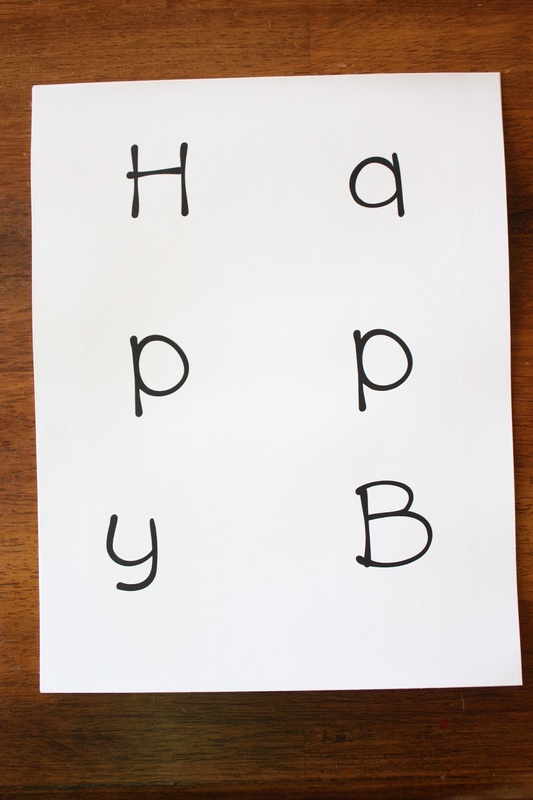 I first started making birthday banners when Jax turned one. I did A LOT of cutting and gluing for that first one. I have come a long way since then, and have even begun selling banners for any occasion ($15 each... if you're interested, let me know!!). 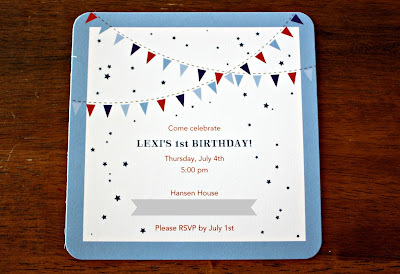 For Lexi's first birthday party banner, I was inspired by this insanely adorable invitation that I found through Tiny Prints (more about them later!). I decided to make a banner that looked like the bunting on the invite. First, I gathered my colored cardstock. I used a ruler to make a triangle on a piece of white cardstock, then cut that out and used it as my template for all of my triangles. I traced lots and lots a triangles on each of the colors of paper. 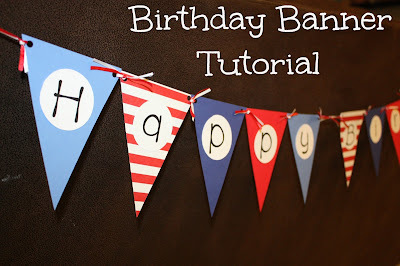 I knew that whatever was leftover would be used to make basic bunting for party decorations. 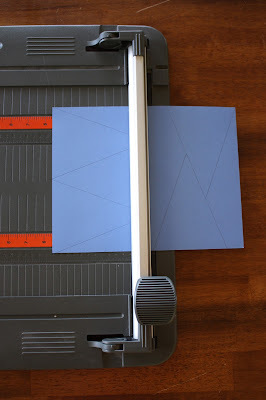 I used a paper cutter to cut out each of the triangles. 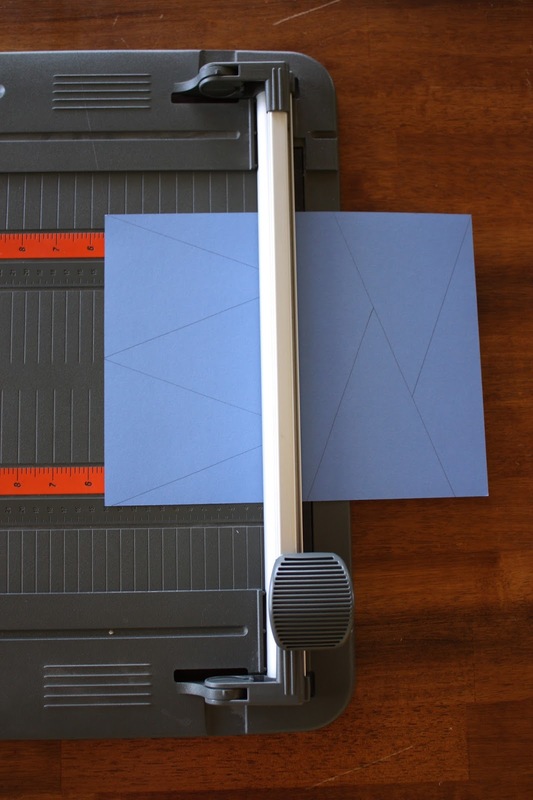 It's A LOT less work than using scissors, and it also helps ensure that you have perfectly straight lines. Once I finished cutting all the triangles, I decided the order that I wanted them, then stacked all of them in that order. 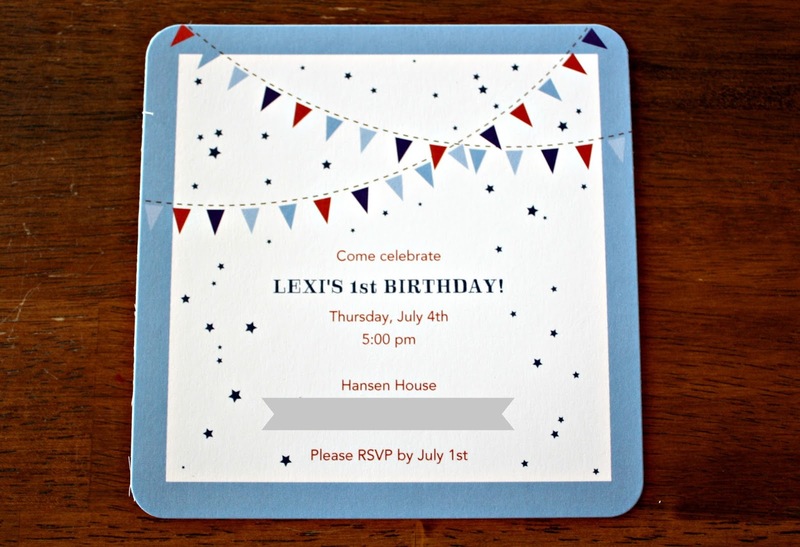 On my computer, I typed "Happy Birthday Lexi", chose the font I wanted, then played with the sizing until it seemed like a good size to fit the triangles. This ended up being 150 pt font. I have this Martha Stewart circle cutter that can cut a circle any size from 1 inch to 5 1/2 inches. You just stick the little hand held blade in the hole for the size that you want, then draw a circle. The center plastic spins so it makes a nice, even circle. I will say that it can be a little tricky trying to hold everything firmly so that the paper underneath doesn't slip, but with some practice, it isn't too hard. I lined it up and cut out each of the letters. This is what I used to attach the letters to the triangles. They are little double-sided sticky squares... easy to use and they stick really well. I used skinny red and white ribbon to tie each piece together. 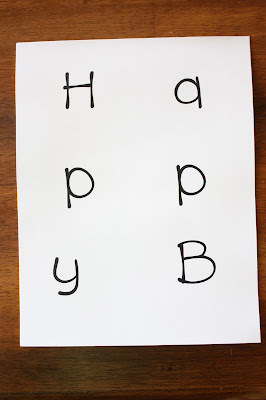 The other option is to just string one long ribbon through all of the letters. It's much less work that way, but not quite as cute! I love how it turned out and can't wait to finish up the rest of the decorations and get things set up for her party!